Easter Bingo will be a fun way for kids to spend a rainy spring afternoon indoors. These colorful free printable bingo cards can be used over and over again and kids of all ages will have a blast playing. Plain old bingo is fun anytime of year. People LOVE to win prizes! The mom in me prefers to make game time special if I can do it without too much trouble. I knew I could dig out the old bingo game from the closet, but knew my kids would really enjoy playing a themed bingo game. 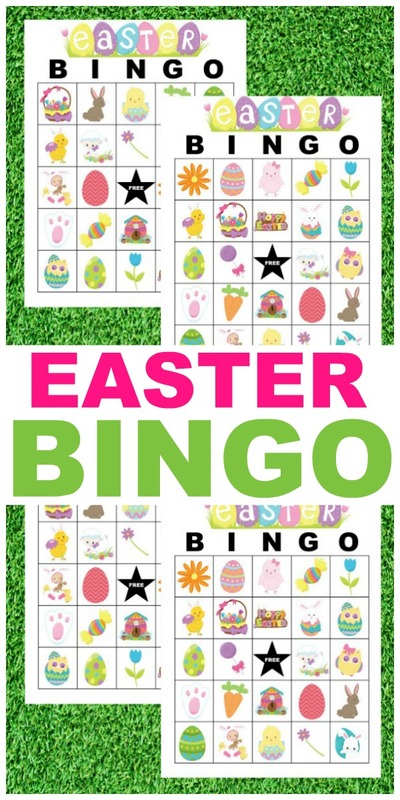 I adore spring time and knew that Easter Bingo would be a great way to pass some time. You can’t play bingo without prizes and I think Easter Bingo needs some extra fun items. I like to keep prizes on hand that work for boys and girls so I am ready for any group at any time. The following prizes are things any kid would enjoy winning and will make the game even more competitive! Easter Bingo is played like any other bingo game. 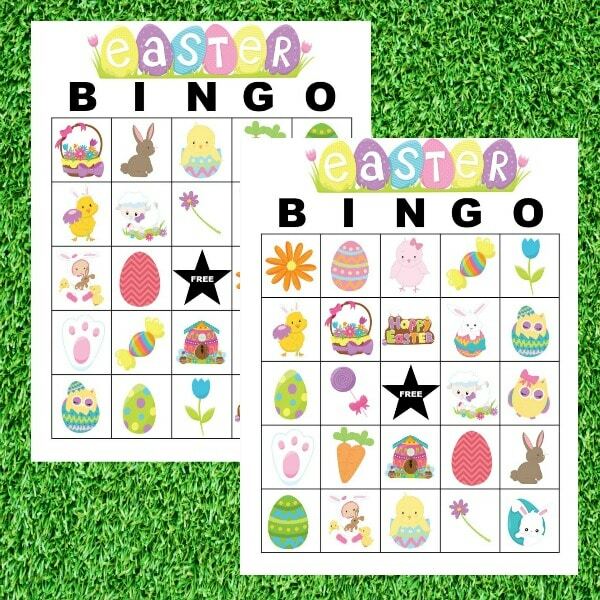 Kids of all ages will enjoy playing and like looking at the fun Easter themed pictures on the bingo cards. The first thing to do is print off the Easter Bingo Cards. I prefer to print these on white cardstock so that they last longer. You can always print them on regular white copy paper. You can print as many copies as you need. There are four different bingo cards. 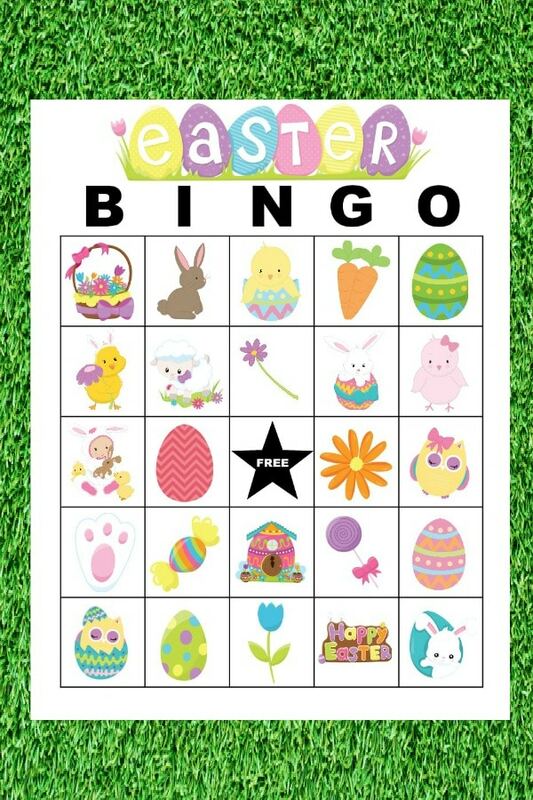 This Easter Bingo game is played with pictures instead of letters/numbers like regular bingo. Print off one extra bingo card and cut out all of the pictures. These pictures are what you will use during the game. Each card has the same pictures only in different orders. You can cut down on disappointment and arguing later if you decide up front how many games will be played and what type of games. The basic bingo game is played by getting all the spaces horizontally, vertically or diagonally across the board. There are many bingo game variations that can also be played like four corners, black out, 2×2 and more. If you want tons of ideas on different bingo patterns check these ideas out. It is nice to tell the players which games you will be playing and in which order. It is very important to decide how you will cover the spaces on the bingo card when they are called. One way to do this is do just use a pencil and write an X on the picture that was called. Another way is to use bingo daubers to mark the box that was called. If you want to be able to reuse the cards you can use small items to mark the spot such as buttons, pennies, etc. The last idea is to laminate the cards and then use dry erase markers to make off each space that is called. Then the cards can be wiped off and reused. You are ready to play Easter Bingo now. One person will be the caller. Put all the cut pictures into a bowl and draw out one picture at a time. Show the picture to the players and give them time to mark their Easter Bingo card before calling another picture. Be sure the players know to say Bingo loud when they think they’ve won. The caller will go over and check their card to make sure the bingo is valid. If they won..they can pick a prize! Now you can either start a new game or keep playing that game until you get another winner. 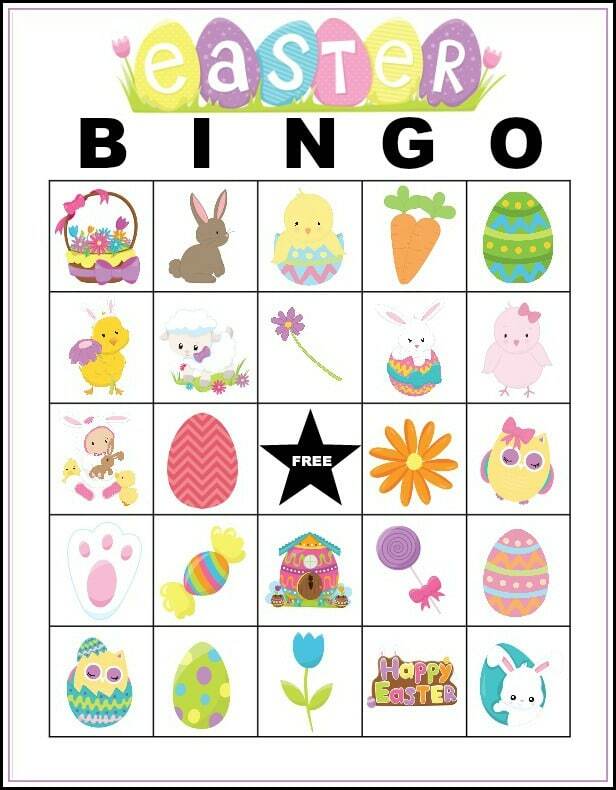 You can download and print off these adorable free printable Easter Bingo cards for your own personal use. 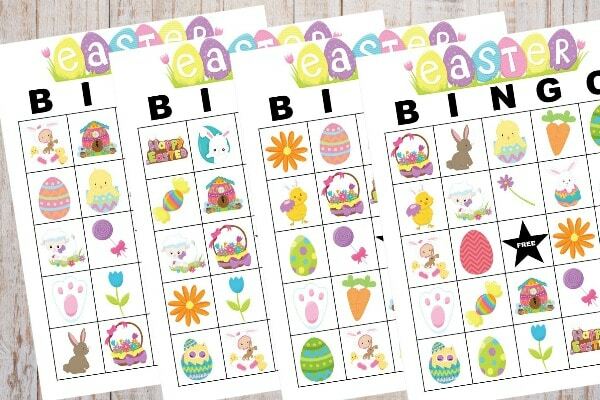 Be sure to SHARE these free printable Easter Bingo cards with your friends on social media!